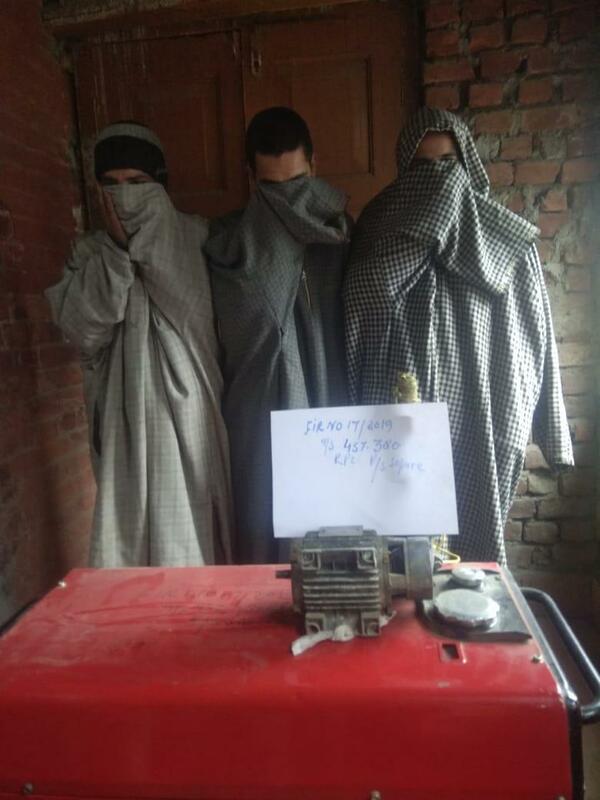 Sopore, Feb 8: Police solved burglary case and recovered stolen property worth lakh and a vehicle bearing registration no JK04 4363. 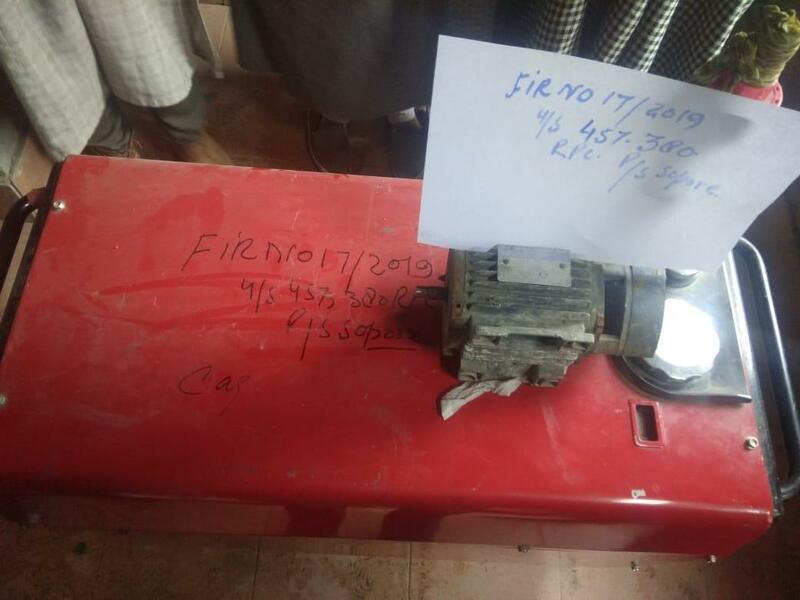 Reports said that a written complaint was lodged by Mehraj Ahmad Malla sonof Mohammad Akbar Malla resident of Botingoo Sopore in Police Station Sopore which stated that during the intervening night of 30/31 of January 2019 some unknown person had stolen Genset and Water motor from his computer institute Matta building Down Town Sopore. On receipt of the complaint case FIR No 17/2019 under section 457/380 RPC was registered in Police Station Sopore and investigation taken up. SSP Sopore Javaid Iqbal formulated a special team under the supervision of SDPO Sopore Mashkoor Zargar led by SHO Sopore Abdul Majeed. During the course of investigation, three suspected namely Ovais Ahmad Qazi son of Nissar Ahmad Qazi, Bilal Ahmad Dar son of Ghulam Mohammad Dar and Ubaid Ahmad Qazi son Munaf Qazi all three residents of Chankhan Sopore were detained and questioned. During questioning, they confessed that they have committed the theft. A police official said that further investigation in the case is going on and more recoveries/arrests are to be expected.